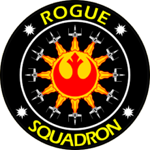 Rebel Legion :: View topic - Hi from Spain. Posted: Thu Jan 24, 2019 4:25 pm Post subject: Hi from Spain. Hello from Spain, I love the world of Star Wars and would be very happy to join you in a good cause. I'm Ricardo from Spain too.